Occasionally I get invited to play handball at the DAC, so stepping out from one steam room into another we see Harmonie Park from atop the DAC Parking Lot. 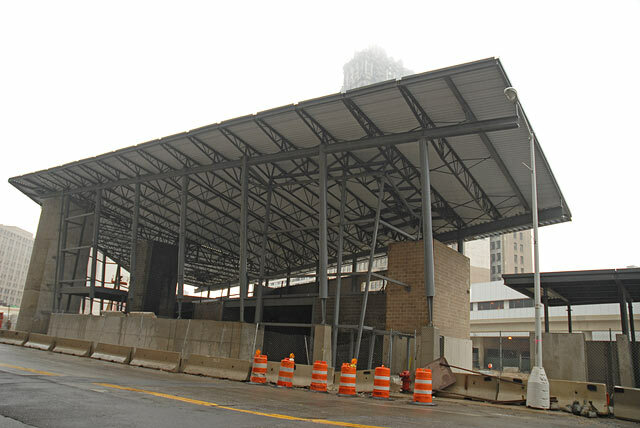 Now let's check out progress on the Rosa Parks Transit Center. The troubled Book Tower ascends into the mist in the background. The Queen is Back! 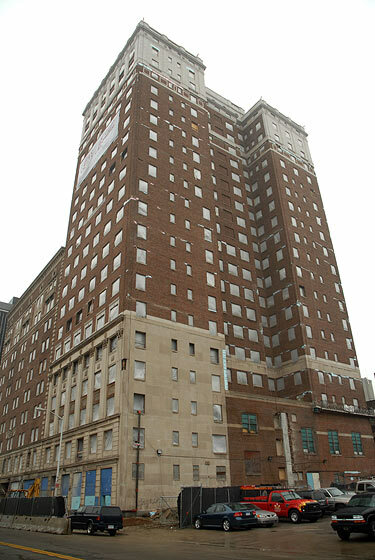 Around the corner, the mighty Cadillac Hotel rises from its grave. 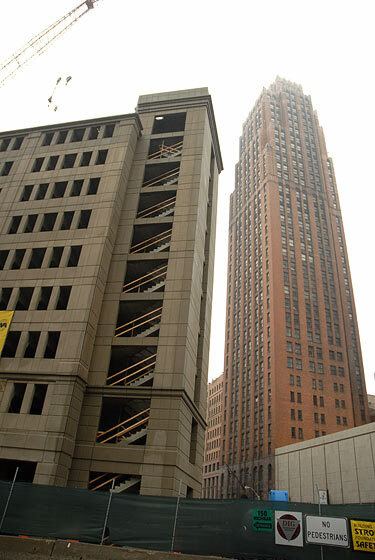 Next door, the Griswold Parking Structure rises across from the majestic Stott Building. 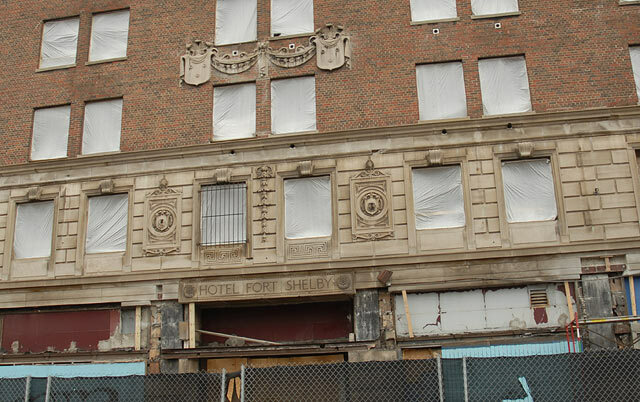 And nearby the Book Cadillac's old rival, the Fort Shelby Hotel, progresses on its path to recovery. when I was down at Campus Martius last night taking advantage of the free wifi on a lazy night downtown, I could only count 21 floors on the Penobscot Building before it disappeared into the clouds. It was really eerie, but cool! What great pics, Lowell! 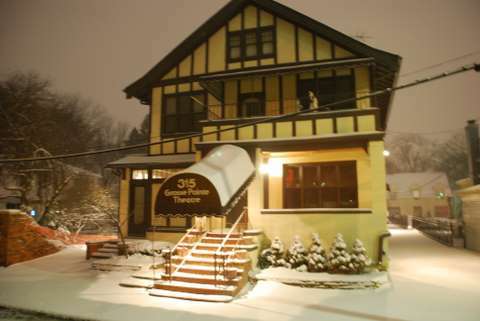 I was able to just make out the top of my old studio building, the Merchants Apparel building,just next to the white building in Harmonie Park. I spent 10 wonderful years making art on the 5th floor, and truly loved being a resident of the Park! "Now let's check out progress on the Rosa Parks Transit Center." 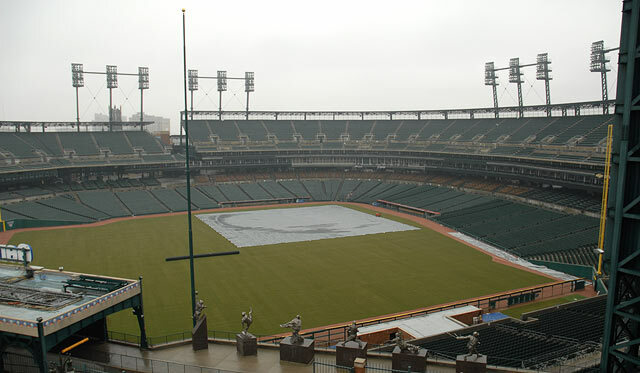 My favorite is the Comerica Park photo. I doubt I'll ever see the view from the DAC in person. 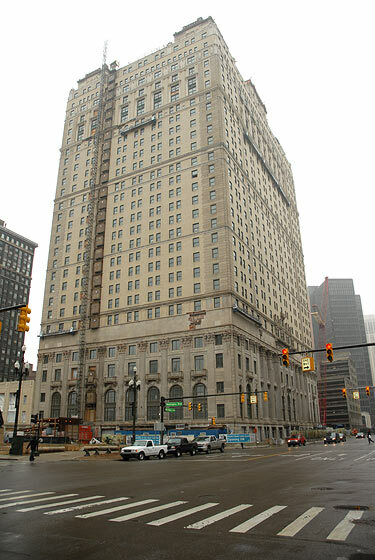 You have no idea how great it is to see pics of downtown, especially when you are a transplanted Detroiter like myself. Sure, I could tell you about the great weather in Florida where I live, seeing the Tigers in a spring training game the other day, but none of it takes the place of the random glimpses of downtown that get posted every once in a while. To you and all of the other photo bugs who post regularly, thank you! It is greatly appreciated. 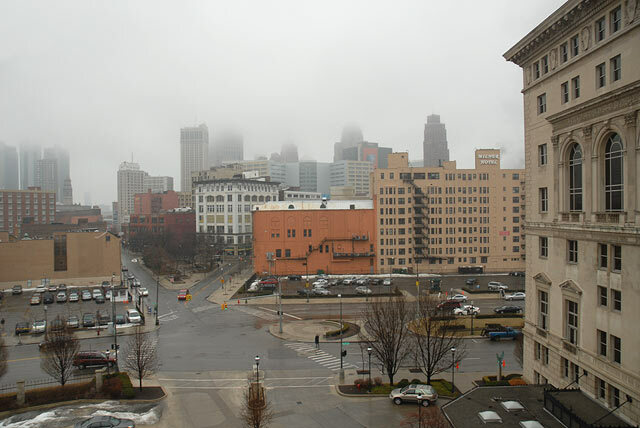 Only registered users may post messages on the DetroitYES forums. To register click the JOIN button at the top to obtain a free account.